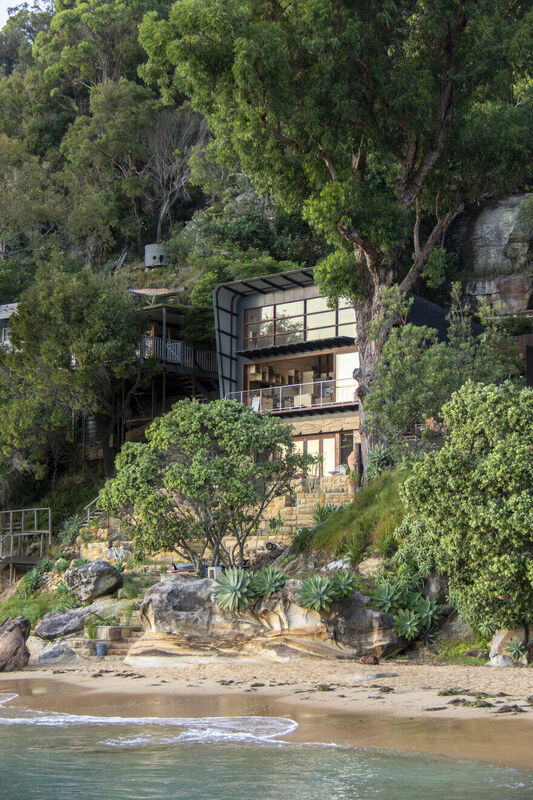 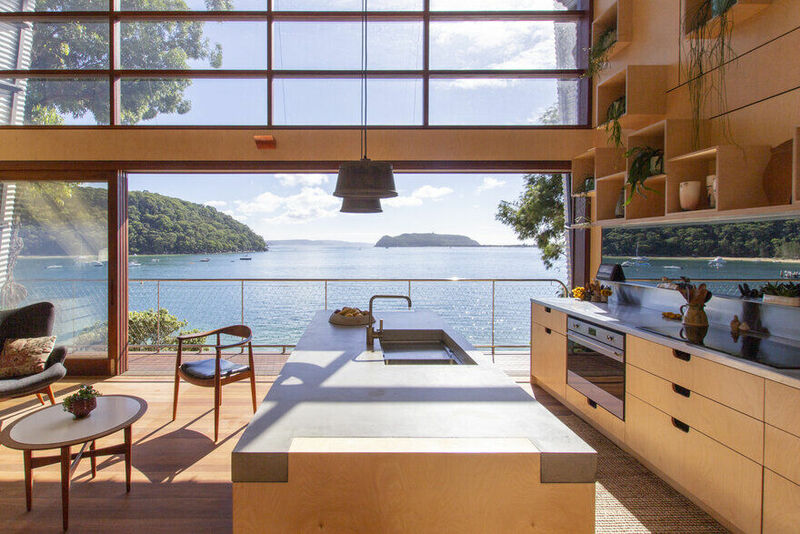 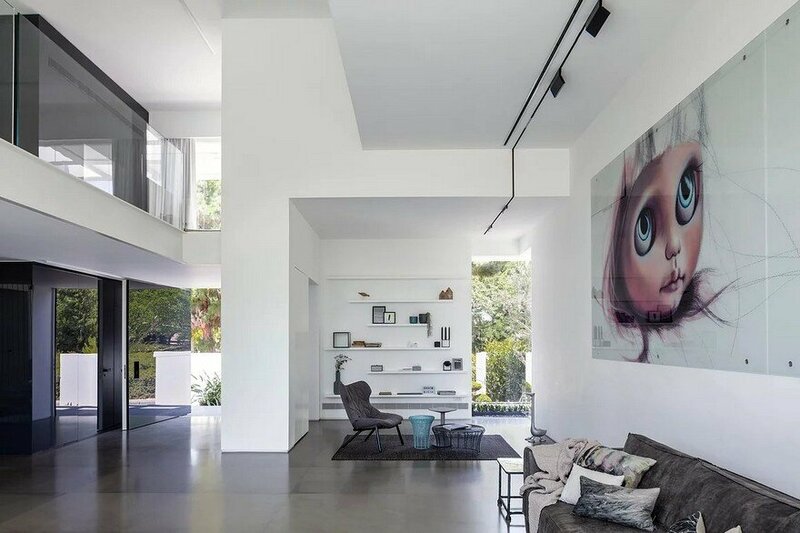 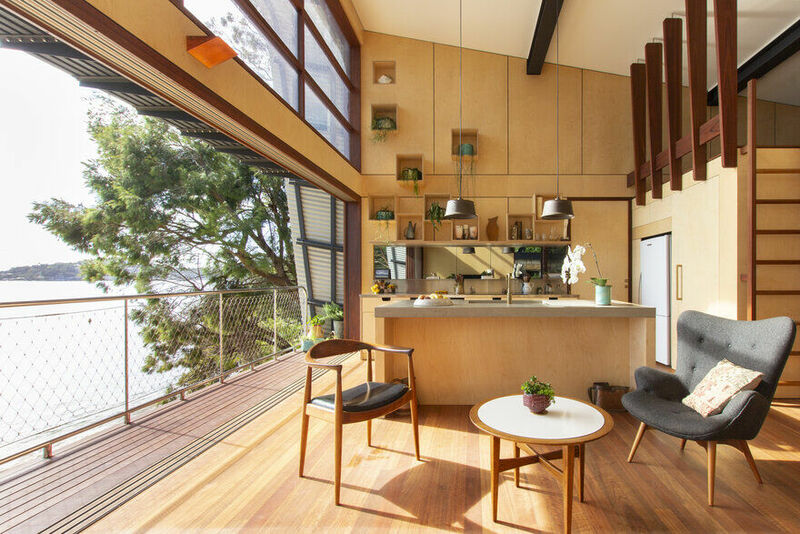 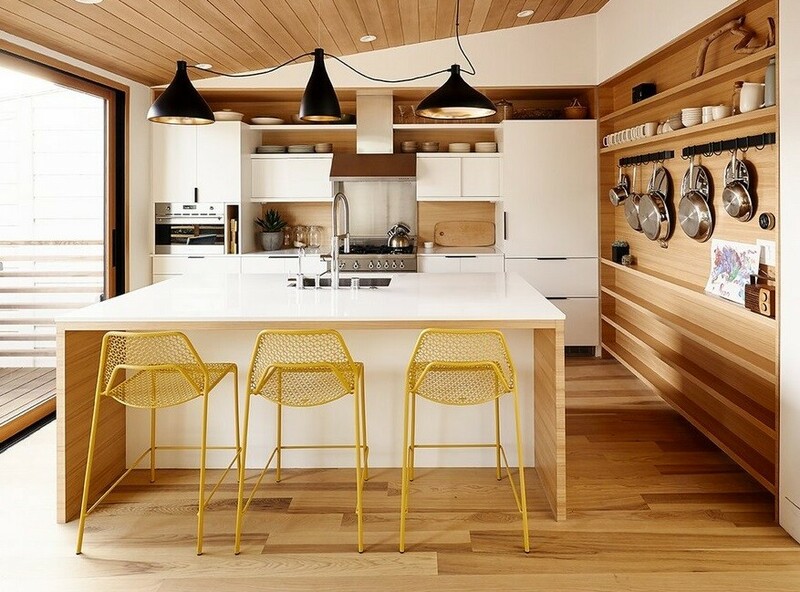 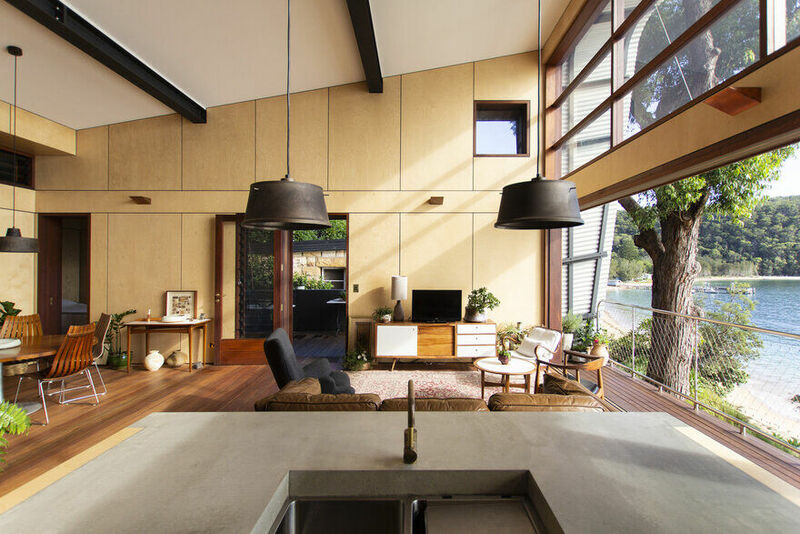 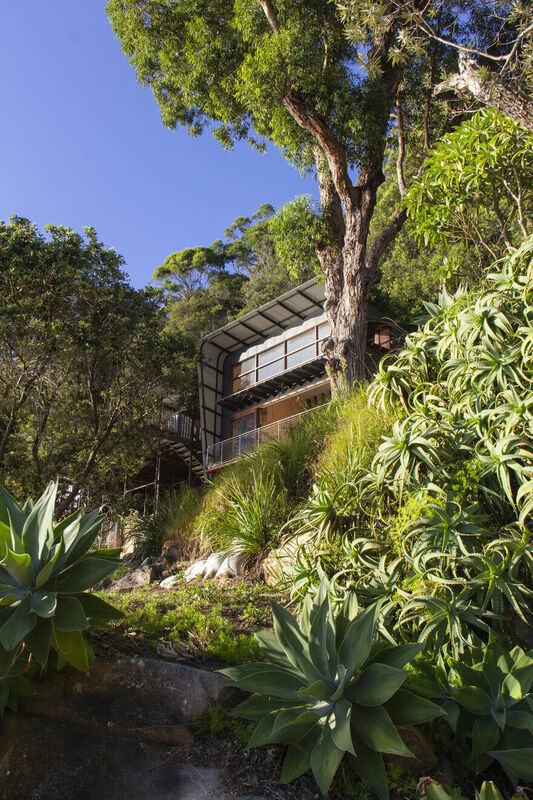 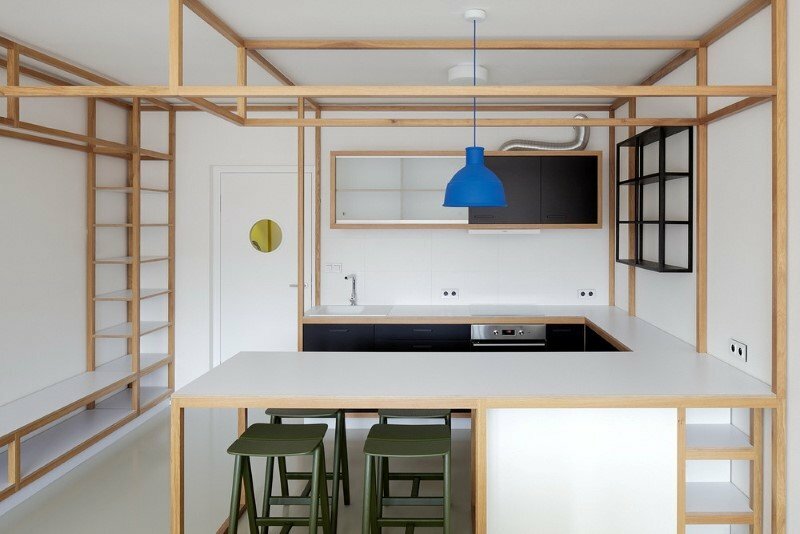 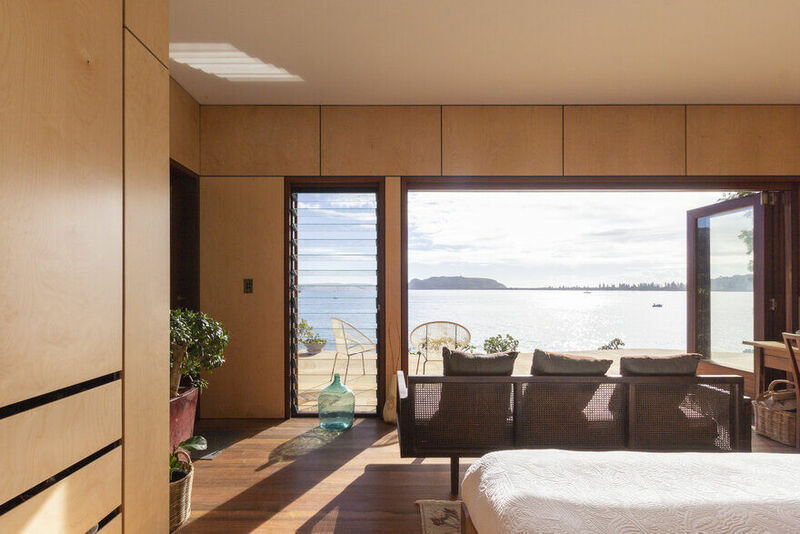 Description by Casey Brown Architecture: Hart House is located on the idyllic shoreline of Great Mackerel Beach, and was conceived as a contemporary interpretation of the quintessential one-room Australian beach shack. 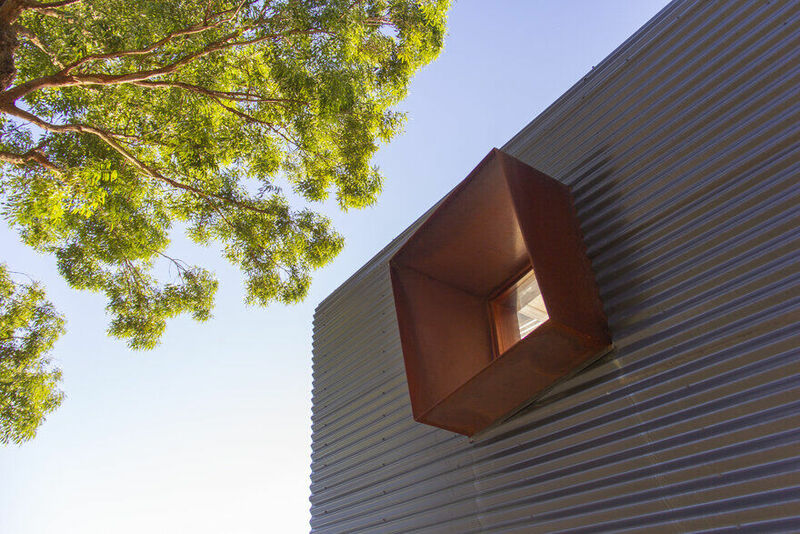 The form was derived from a wrapped ‘box’ open to one side which provides the building with a protective corrugated aluminium shell. 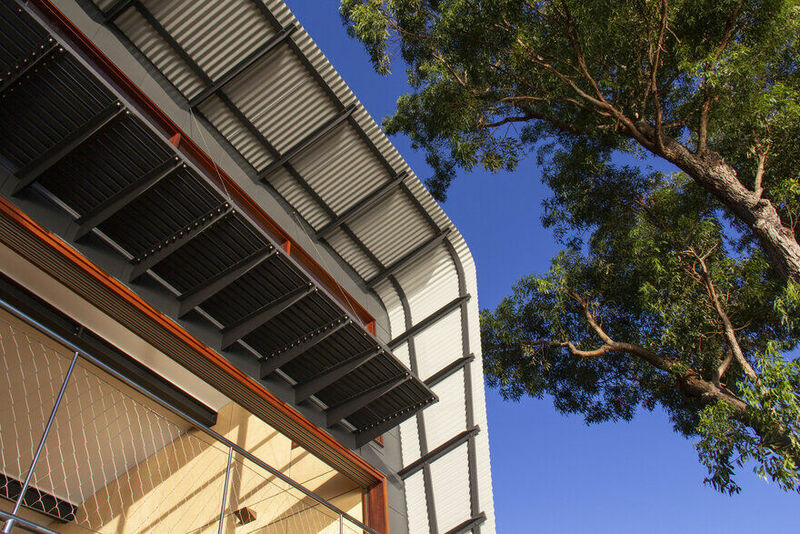 This shell protects the house from the harsh salt environment, cold winter southerly winds and bushfire prone landscape. 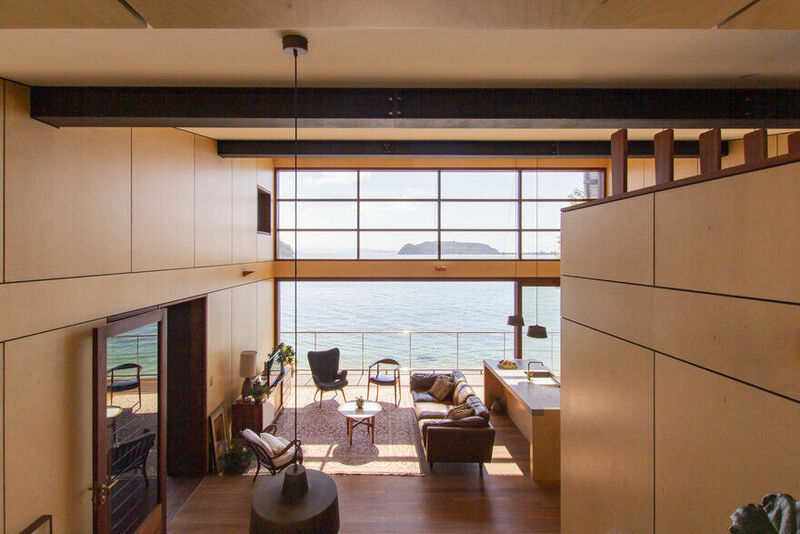 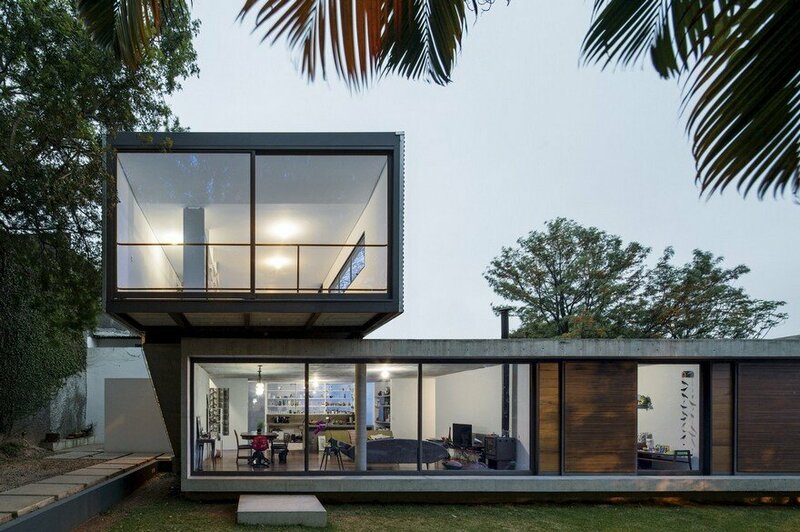 Only one side of the box is left fully open – facing towards the sun and the view, allowing the dwelling to embrace the beachfront location. 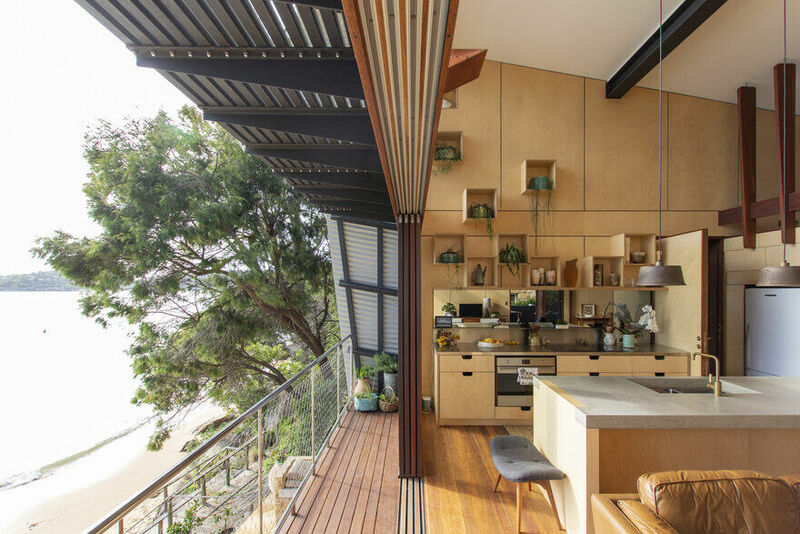 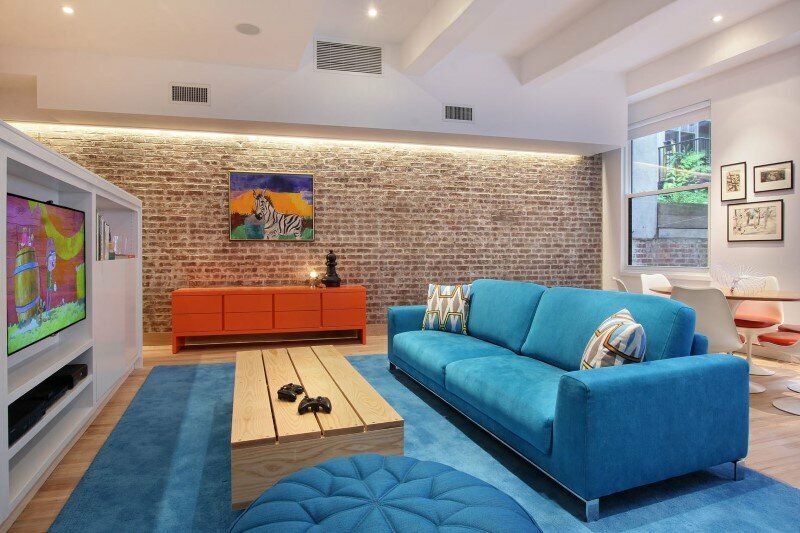 The palette of colours used for the Hart house resonates with the beach and surrounding Australian bush and beach landscape. 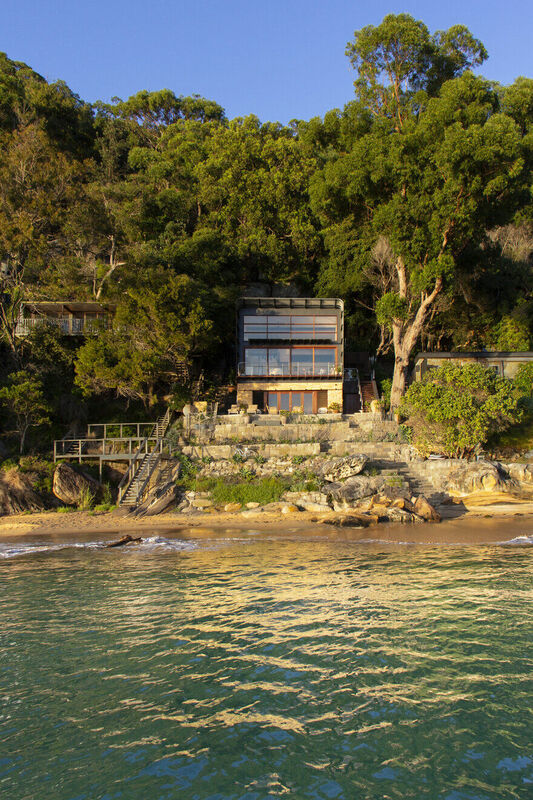 A place for relaxing and enjoying the beach, this distinctive house captures the view, sun and breezes to create an unforgettable shack highly suited to the unique opportunities and constraints of the site.